Gently polish your skin with this scrub to remove dead skin cells, dirt, oil, and makeup. 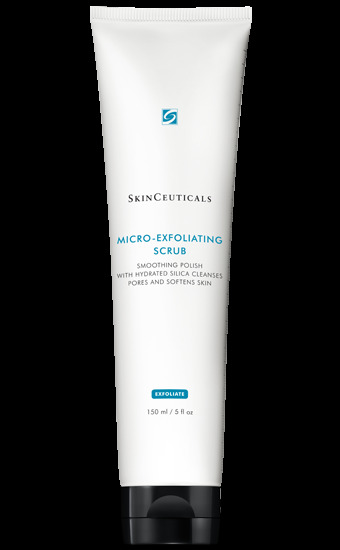 SkinCeuticals Micro-Exfoliating Scrub is for all skin types including acne prone and sensitive skin. Softens and exfoliates leaving your skin soft, supple, and unclogged of impurities. SkinCeuticals Micro-Exfoliating Scrub is best used once or twice per week.